I have had a ton of bananas hanging around my refrigerator lately – like almost on the edge of being trash-worthy bananas. I love banana bread, don’t you? And I had some other things going on in my fridge that needed use, and I wanted to try The Vegg in a baked good. 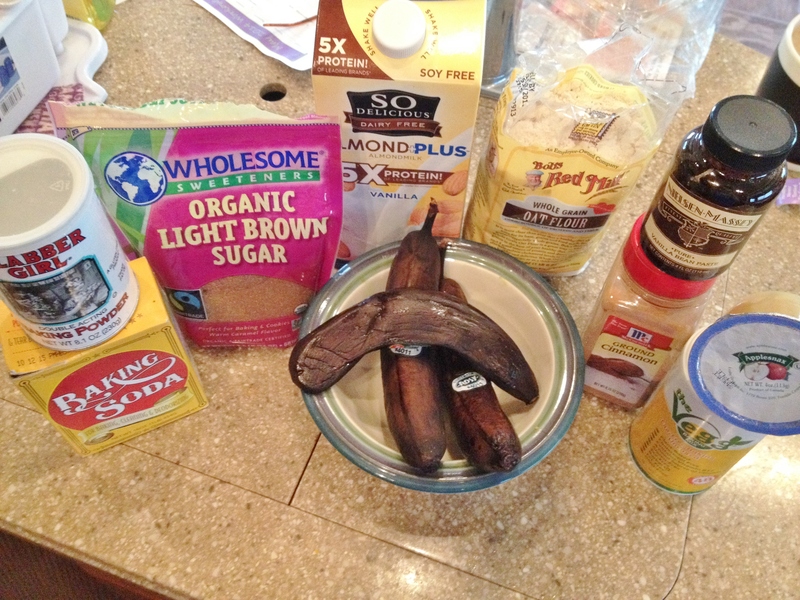 Here is my Classic Banana Bread – Surprise. 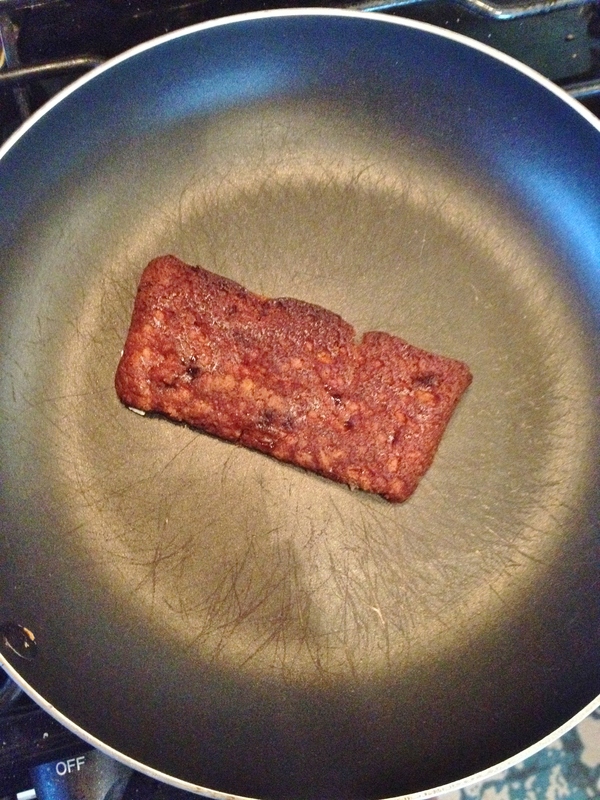 Oh man who doesn’t love banana bread? And with all the almost rotten bananas hanging around I knew that was what I was going to make. 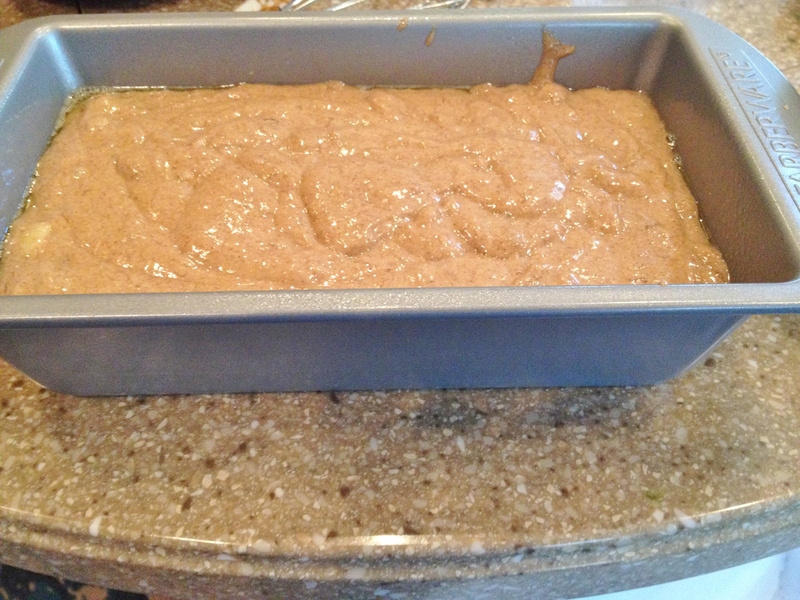 And with my many bags of oat flour I was going to try the gluten-free bread again – and try to get it to rise! I don’t know about you and your tries at baking GF but mine never rise. As you can see from here and here. But, yes, I had success! And the best part of the bread – the top – turned out uber-crispy. 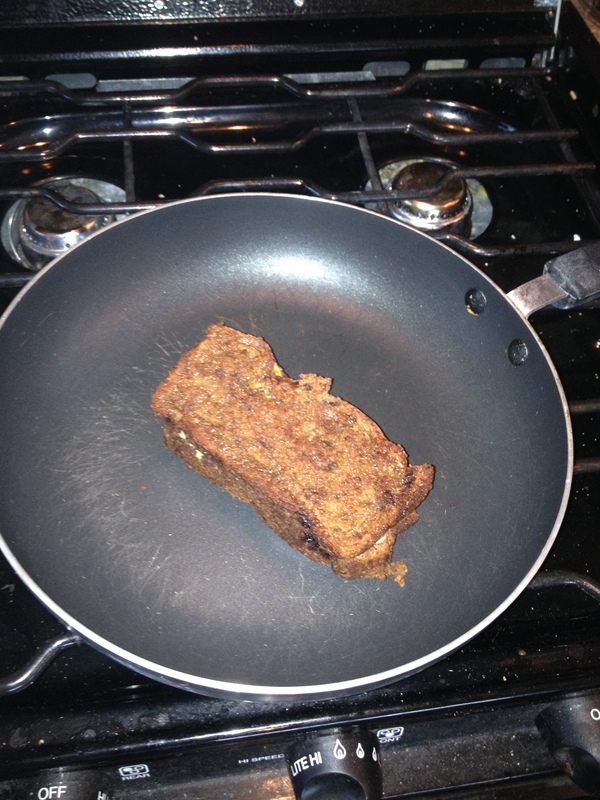 Oh yum, do I love banana bread. 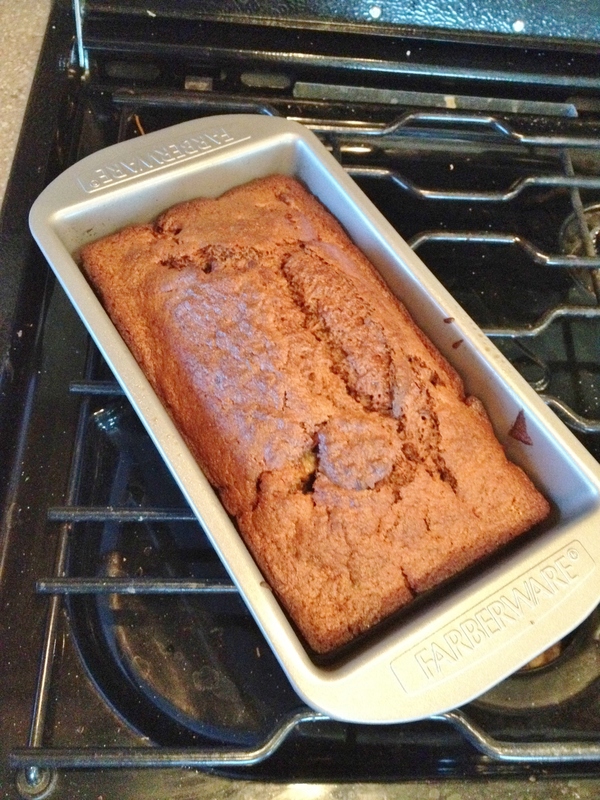 And I bet you are wondering why I called this Classic Banana Bread – Surprise. 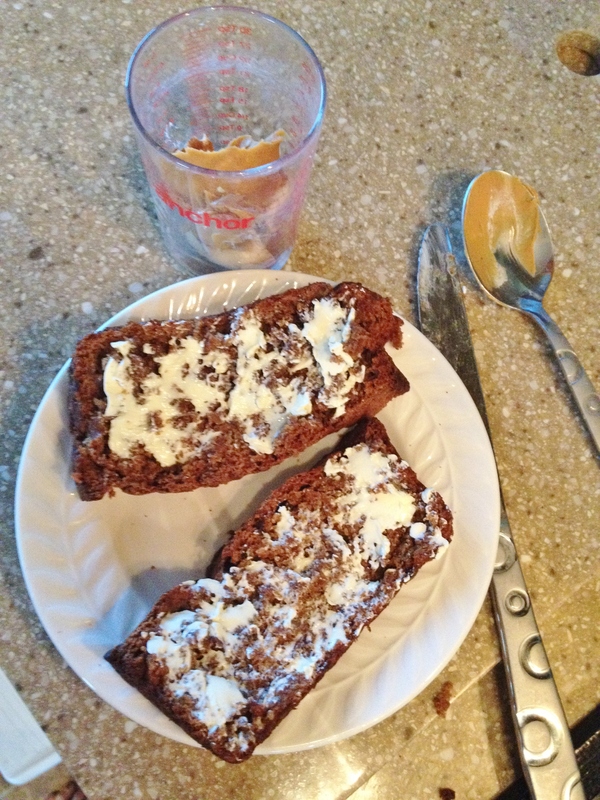 And no it wasn’t because of my successfully making this a rising gluten-free bread. 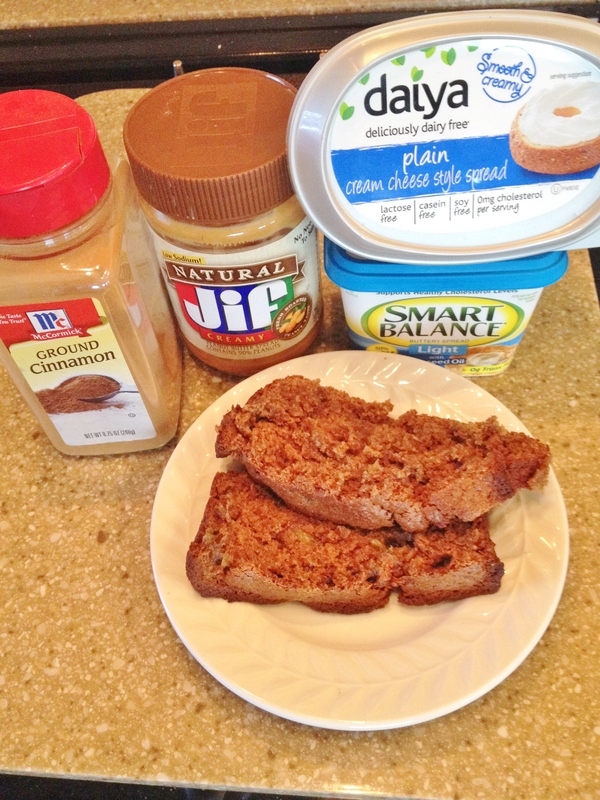 It is because I made this into a creamy-peanut-buttery grilled sandwich! Yes. 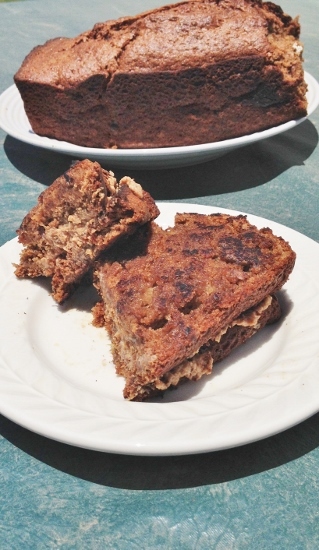 A grilled cheese banana bread sandwich! Oh man. Can it get any better? 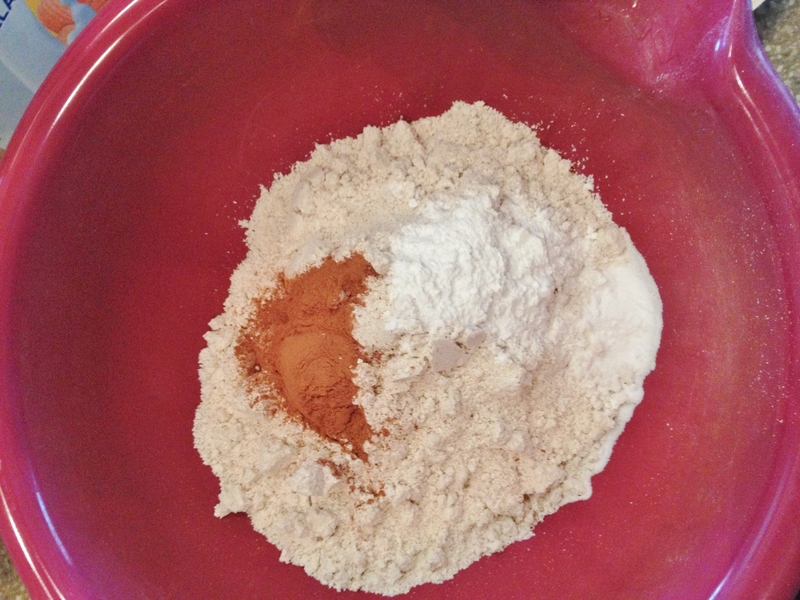 You know how to make bread – mix the dried ingredients. 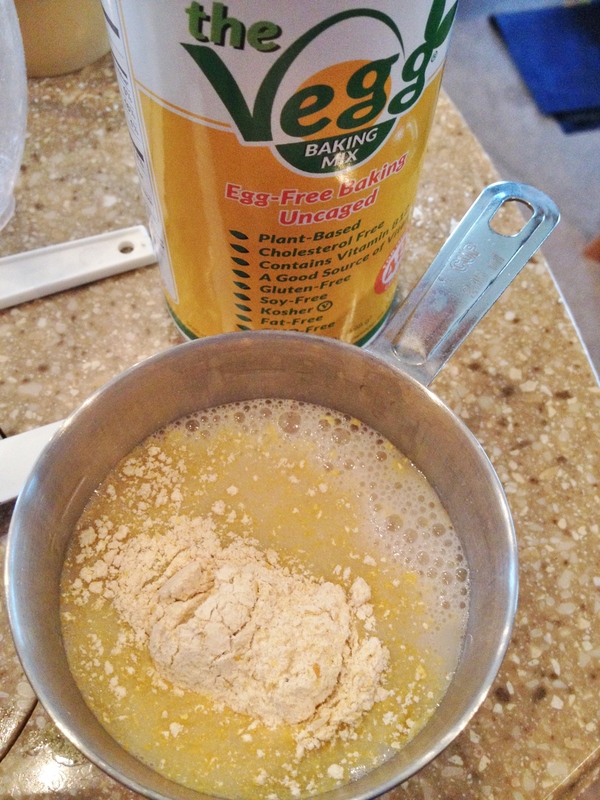 Then make a well in the dry and add the wet – and I used the cool The Vegg baking mix (and I still can’t get over that it smells like eggs!). It really did add the moisture that most vegan and gf breads I make are missing. But the sandwich. Oooh. Let the bread cool then slice off two pieces. 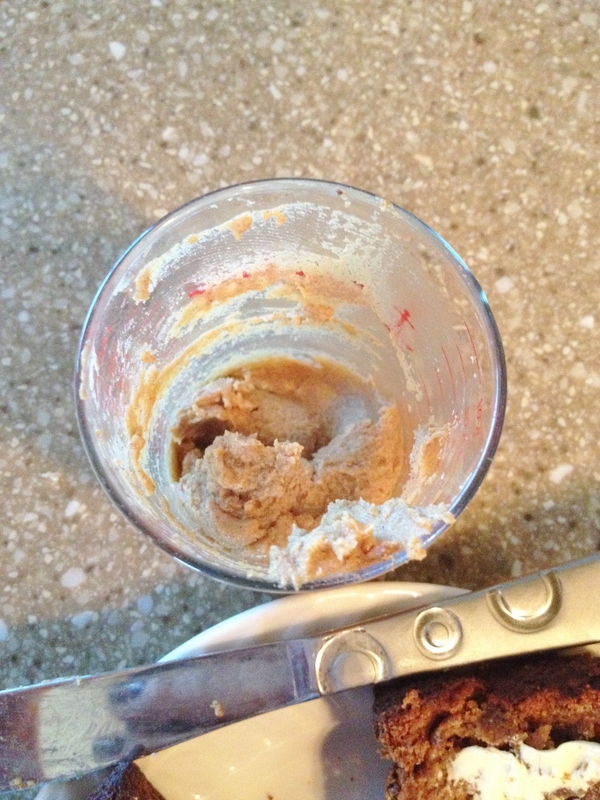 Mix your pb, cinnamon, and cream cheese together and butter the bread. Turn on the burner and lay one slice of bread butter-side down. Slather the pb-cheese on the other slice (non-buttered side). Lay pb-cheese down on the other piece and squish down. Carefully flip and grill the other side. Grill until browned. Take off, slice, and enjoy! 2. 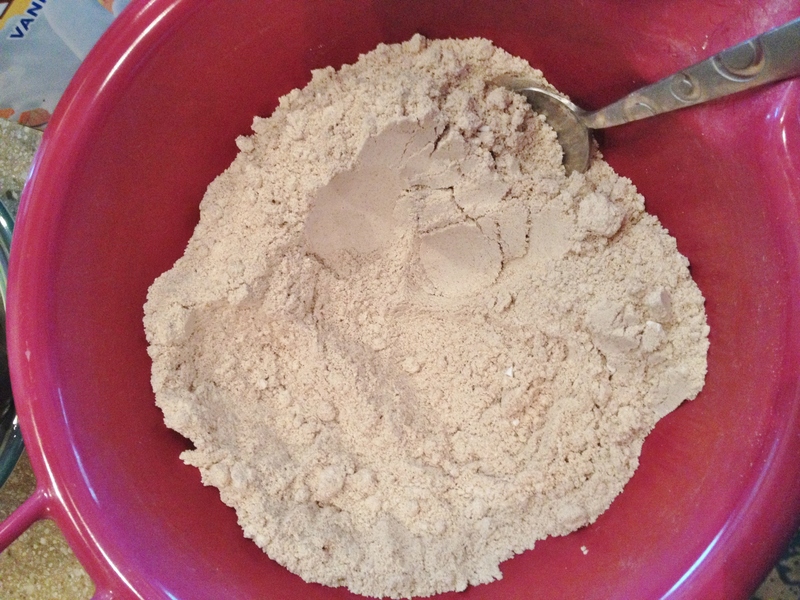 Mix flour, cinnamon, and baking soda and powder in mixing bowl. 3. 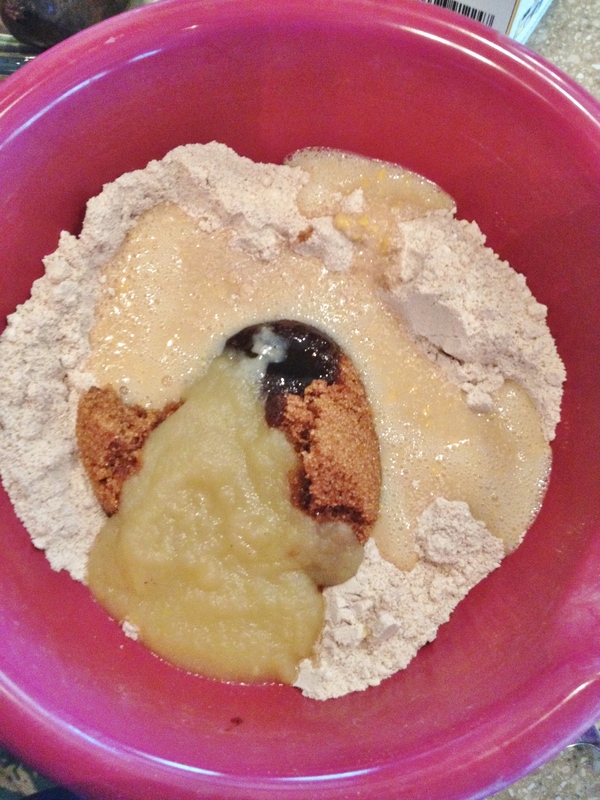 Make a well in the middle and add brown sugar, applesauce and mixed “egg”. Mix well. 4. 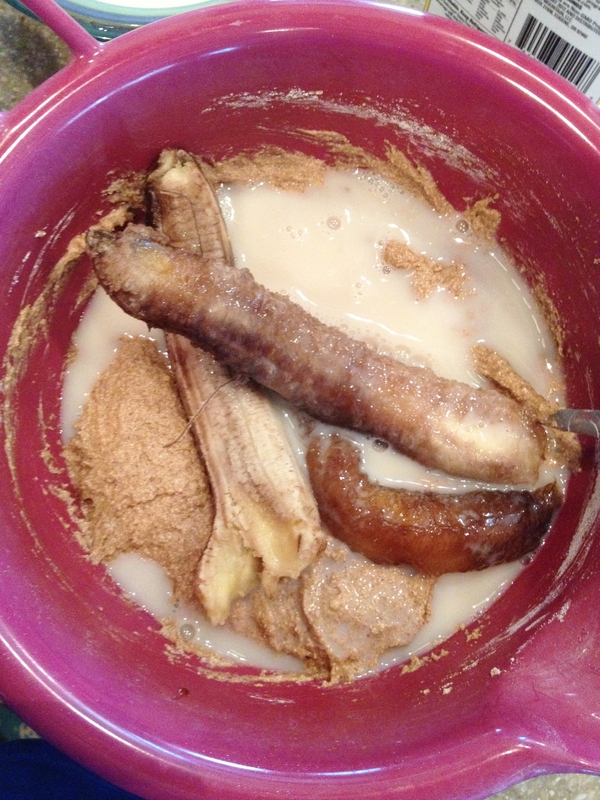 Add bananas and rest of milk. Mix well. 5. 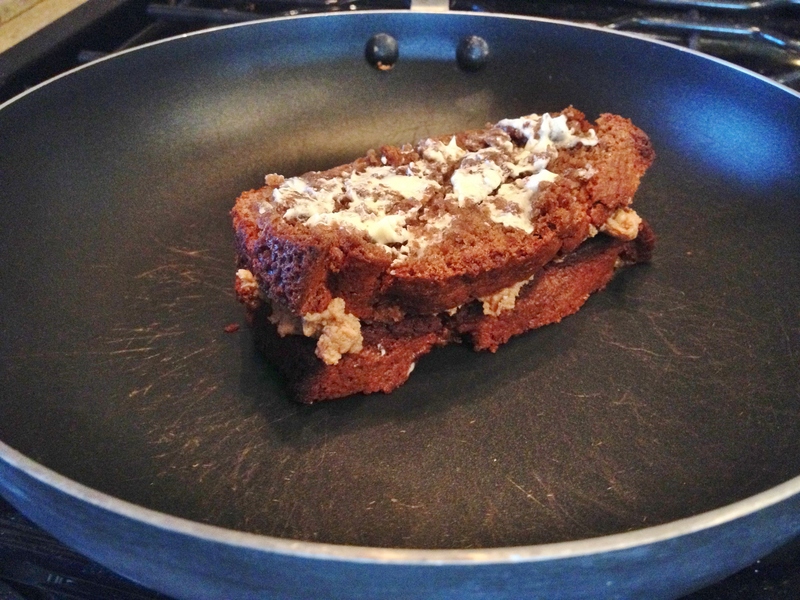 Spray bread pan with non-stick spray and pour batter. 6. Bake for 50 minutes or until you can pull a knife or toothpick out clean. May be less or more time. 7. For sandwich slice bread into semi-thick pieces. 8. Butter one side of each piece with butter. 9. 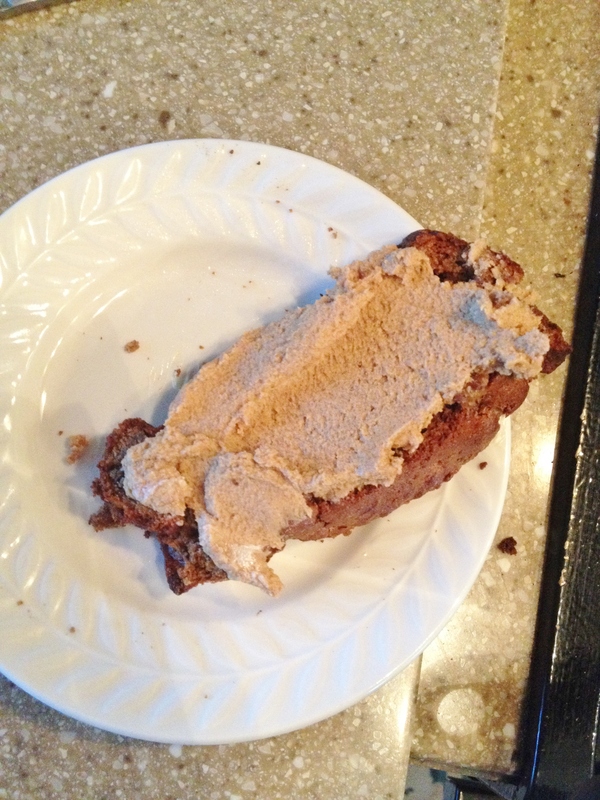 Mix peanut butter, cream cheese, and cinnamon together. Slather on one piece of bread. 10. In sauté pan lay buttered side of bread down and grill until brown. Carefully flip and grill other side. 11. Slice in half and enjoy! 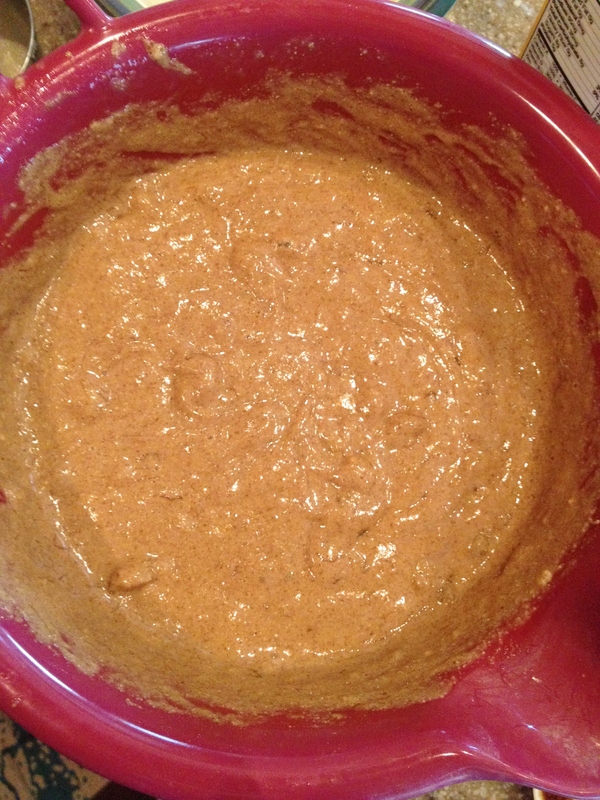 This recipe is entered in the Spring Fling Dairy-Free Recipe Contest and used So Delicious Dairy Free products. This sounds so yummy! I would have never thought to make a sandwich out of it, but it sounds awesome!